James Clyde Stewart, age 91, of Fayetteville, TN passed away on Sunday, January 27, 2019 at his residence. He was born in Lincoln County, TN on November 25, 1927 to the late Green & Stella Patrick Stewart. 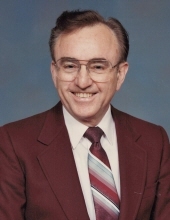 He was a veteran of the US Army, worked as a barber for over 50 years and was of the Baptist faith. In addition to his parents, he was preceded in death by his sister, Verna Sawyers, brother, Carl Stewart and granddaughter, Stephanie Maddox. Mr. Stewart is survived by his wife: Freddie Stewart of Fayetteville, TN; daughters: Rhonda (Larry) Maddox and Sharon (Mickey) Moffett all of Fayetteville, TN; sisters: Virginia Arnold of Fayetteville, TN and Jeanetta (John) O’Neal of Lewisburg, TN; grandchildren: Sonya (Lee) Williams, Melanie (Turner) Hughes and Katie (Daniel) Henderson; great grandchildren: Gavin Williams, Hannah Williams, Bowen Hughes, Sophia Hughes, Walt Henderson and Hank Henderson; and several nieces and nephews. Funeral services will be conducted on Wednesday, January 30, 2019 at 1:00 p.m. in the chapel of Gallant-Riverview Funeral Home with Bro. Eric Reynolds officiating. Burial will follow in Riverview Memorial Gardens. Visitation is Wednesday from 11:00 a.m. until 1:00 p.m.
"Email Address" would like to share the life celebration of James Clyde Stewart. Click on the "link" to go to share a favorite memory or leave a condolence message for the family.